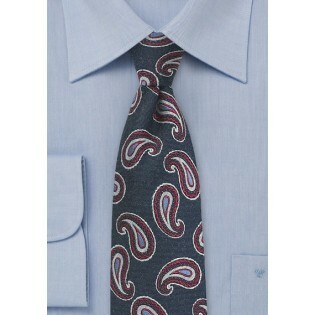 This Parsley wonder combines a multitude of unique qualities that make the Blue and Red Paisley Tie in Raw Silk one of our most highly coveted designs to date! 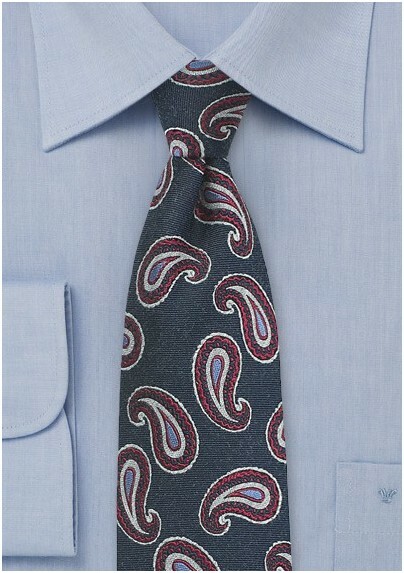 Featuring a decadent paisley pattern handwoven onto a unique raw silk fabric, this truly is a phenomenal piece desired by the fashion-forward man. Wear it with an ash grey suit and silver tie-bar for an icon appeal. Crafted from raw silk adding a textured finish to the velvety smooth material. 100% Raw Silk | Length: 58", Width: 3.1"